Pilu (Piloo) is a light raga with a vast canvas to paint. Mishra Pilu allows tremendous scope for the artist to bring in melodic lines from other ragas. Pilu belongs to the Kaafi thaat and uses both the Gandhars (Ga). However, in the Mishra (mixed) form, almost all notes are used. 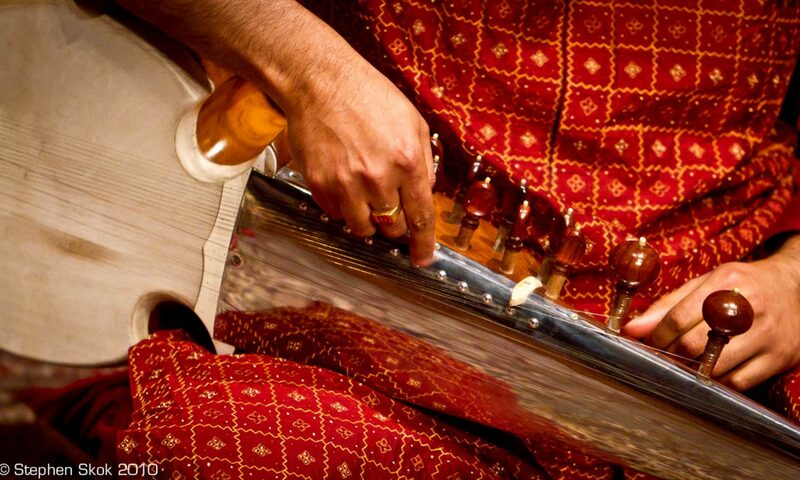 One of the best Pilus on the sarod is by Ustad Amjad Ali Khan. I’ve taken his Teental composition and changed it a bit, however the key characteristics remain, in particular, the ascending antara leading up to the upper Sa from the 9th and use of some ekhara phrases. – I’ll upload the notations shortly. At the outset let me declare that your fascinating chronicles on the various aspects of sarod and Ustad Amjad Ali Khan in particular will someday prove to be definitively priceless toward the proper evaluation of Khan Sahabs contributions. I also admire your admiration of other sarod gharanas which shows the fact that a keen observer is never really biased but simply objective in his perceptions. I tried out some of Ali Akbars recordings of Zila Kafi. There are a few sparks of brilliance but they are too little to captivate my imagination. Further the bandishes and Masitkhani gats are far too convoluted for my interest as it appears that Ali Akbar simply focuses on one aspect of the gat and develops that in whatever direction he feels like. The results as you would know better than me vary immensely. Thanks for the link – I enjoyed this medley. Ustadji’s sound in the 90s was still in transition – a bit more of the old rababiya style of playing here, but the accuracy and control is top notch as always. Ustadji was always heavily influenced by Ud VK and Ud Amir Khan and his Pilu compositions are marvellous and explore the full canvas of the raga’s scope. Thank you for encapsulating Pilu, which, reportedly, is hard to differentiate from Keervaani. Nice…. Very nice….but I am interested on violin(Sri Lanka)…. Can you send me a rag miyan Ki todi chotakyal gaths notations…..(specially I need dr.kalaramanath’s gaths)…. If u it send me…we very gladness about u…. Finally,best of luck ?.and god bless you!!! You are probably best approaching a violin teacher, not a sarod player.